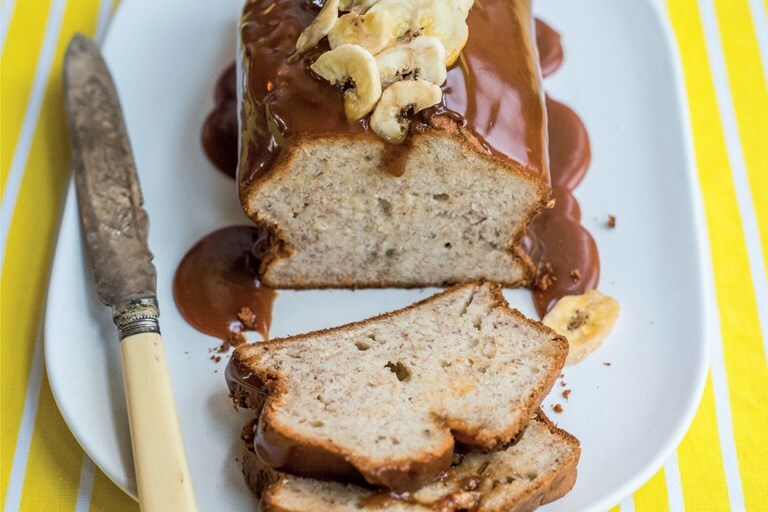 This easy banana bread recipe from actress and Celebrity Masterchef winner Sophie Thompson is a winning snack for elevenses or afternoon tea. It is really easy to make and brilliant for using up over-ripe bananas. Sometimes all the bananas get eaten, sometimes they don't and a wee mottled bunch sits sadly on the side gathering frenzied fruit flies . . . moist banana bread to the rescue! If you'd prefer, this recipe can be turned into banana bread muffins by simply splitting the mixture into muffin cases before baking. This recipe is from Sophie Thompson's book My Family Kitchen: Favourite Recipes from Four Generations published by Faber & Faber, September 2015.